Wild Beasts come from just down the road in Leeds (via Kendal apparently) and possess one of the strangest/best vocalists I've heard all year. 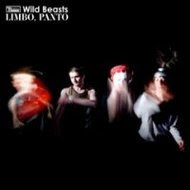 I'm not sure just how long they've been around but they have just come to my notice with their debut album "Limbo, Panto" which is avaliable now through Domino Records. Cheers for the MBV. Do you have the MBV boxset?